In April the students who participate in the class council gave speeches to their class for the election to the Executive Board. Then the students in their grade voted to decide who will lead their class for 2014-2015. The positions are: President, vice president, secretary, and treasurer. The freshmen do not have an E-Board because they have not had the opportunity to see how class council works or to vote yet. The current sophomore E-Board members are Delenn Martin (President), Hunter Wain (VP), Julianne Braza (secretary), and Shelly Sheehan (treasurer). “Class council is a fun afterschool activity and it’s fun to have a say in your class even if you aren’t an officer,” said sophomore Kylie Levine. The current junior officers are Ben Wagner (President), Julia Paine (VP), Rose McDermott-Pinch (secretary), and Chelsey Sabilla (treasurer). The E-Board members from the current senior class are Carlee Russell (President), Amanda Alfani (VP), Olivia Mayer (secretary), and Tim Cao (treasurer). 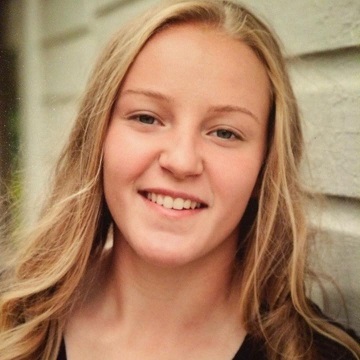 “ I’ve been lucky enough to serve as class treasurer practically my whole high school careerand it has been a gratifying experience to spend time with such amazing people [our advisors, our members, the board]. Choosing to be involved in class council has made my high school experience worthwhile. And it will be one of the things that I miss the most,” said Cao. On May 2 in advisory, students were given a ballot with the names of candidates and voted for one person for each position. The officers for next year are as follows: sophomores Noah Saulnier, Jessie So, Kyla Mucciarone , and Joetta Nuahn, juniors Julianne Braza, Sarah Nasah, Matt Fierstein, Kevin Sachew, and seniors Ross Killion, Hannah Root, Sasha Nieves, and Chelsey Sabilla. Any student is allowed to run for a position as long as they fill out a nomination paper and have it signed by the class council and student council advisors. “This year’s class council elections are ridiculous. Students are running for positions with no prior experience. They only want to run so it will look good on college applications, whereas the students who have been there since freshman year are in it for the good of the class,” said junior Kayla Alvarez. However, not all members of the class feel the same way. “I like class council and I’m glad to welcome new people as long as they are willing to do their job,” said junior Sarah Williams. 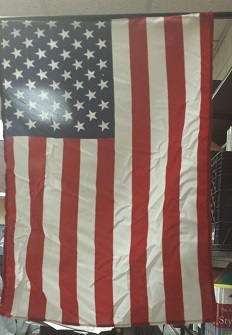 This entry was posted in Home, In & Around AHS and tagged 2013-14, Attleboro High School, class council, class elections, elections, Rose McDermott-Pinch on May 30, 2014 by abeeahs. As the AHS seniors prepare for their last week of high school, they still have their senior week events to look forward to. Senior week runs from June 2-6, the day of their graduation. The senior events include a trip to Seekonk Grand Prix, Spirit of Boston Boat Cruise, a Senior Reception at Demetri’s, and finally a Senior Breakfast at the Highland Country Club. The trip to Seekonk Grand Prix will be on Monday, June 2 from 10 a.m. to 12 p.m. Seniors will compete against class advisors Mrs. Darby Sawyer and Mrs. Carla Hodges in a game of mini golf and go-cart racing, or try to bump them off their boats in bumper boats. Each student will be able to play one game of mini golf, go on three rides of their choice, and receive 12 tokens to the arcade. If a student wishes to play more games they may simply purchase more coins. The Spirit of Boston Cruise will be on Wednesday, June 4 from 4:30 to 11:30 p.m. On this cruise, seniors will board the Spirit of Boston for a night of dancing, eating, and fun with their classmates out on Boston Harbor. Buses will transport the seniors to Boston and back, departing from the AHS parking lot. This cruise will be a semiformal event and shoes must be worn at all times. For this event seniors must be in the parking lot no later than 4:30 p.m. The senior reception at Demetri’s in Foxboro will be held on Thursday, June 5. The seniors and their parents will hear the class essayist, Max Lancaster, give his final remarks to the Class of 2014 and watch the senior highlight video while enjoying a fun night of eating and dancing. The seniors will gather on the morning of their Graduation day, June 6, for a class breakfast at Highland Country Club near AHS. They will enjoy a traditional breakfast of bacon, eggs, sausage, and fresh fruit. They will also hear some final words from their class advisors and a guest speaker. Please feel free to join the Class of 2014 at their graduation ceremony at Tozier-Cassidy on Friday, June 6, 2014 at 6 p.m. This entry was posted in Home, In & Around AHS and tagged 2013-14, Class of 2014, Dan Batista, Demetri's, graduation, Highland Country Club, Seekonk Grand Prix, Senior Breakfast, Senior Reception, Senior Week, Spirit of Boston, Tozier-Cassidy Field on May 30, 2014 by abeeahs. In late March of this year, I woke up and realized that I wanted to transform into a unicorn. I visited Amazon.com to look for something and came across the unicorn mask. After reading that, I instantly ordered the unicorn mask and never regretted the decision. At the time, buying the magical unicorn mask from Accoutrements was probably the greatest decision I ever made. As soon as I put the mask on, I could instantly feel the majesticism flow through my entire body. It was a tough transformation at first because I have never experienced being a unicorn before, but after some time I grew used to it. 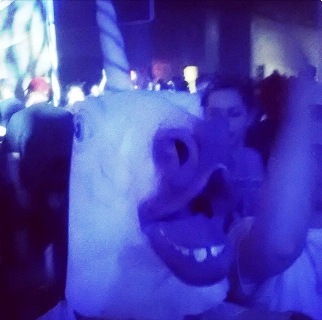 I became one with the unicorn. I knew I had to show it off somehow. My friend, who had a horse mask, and I went to the mall and we were instantly swarmed by people taking pictures with us. The fun didn’t last long though. As soon as the mall security officer saw us he said, “Don’t move!” and began walking towards us. We knew we had to leave, so as soon as we could, we turned on our 100 horsepower engines and galloped off into the distance until we were out of sight. We then had to remove the masks so we wouldn’t be caught again and it was at that point that we realized these masks weren’t safe. It was then that I also realized that I didn’t fit in this world as a unicorn. I took off the mask forever and am now walking this Earth on two legs, just like you. This entry was posted in Home, Teen Interest and tagged 2013-14, Accoutrements, Amazon, comedy, horse mask, horsepower, horses, life-changing experience, mask, Matthew Bray, unicorn, unicorn mask on May 30, 2014 by abeeahs. Wattpad is a website for those who have a passion for reading and writing. It’s also available as an app and can be used on any device. For me, I knew I’d be making an account right away after finding the website. Based in Toronto, Canada with 25 million Wattpadders around the world and more than 40 million uploaded stories, Wattpad has definitely become a popular and productive community that creates, shares and discusses stories. Wattpad allows users to create their own stories to share with others around the world or to read what others have created. To upload a story, choose what category the story may fit in, along with a rating and a language. Works can be either private or public, and other things can be added later, such as photos, tags, links, or videos. The author of the story can be contacted easily through the website itself, and the author can also receive feedback. Also, if a particular story is being read and enjoyed but is still a work in progress, the reader will be notified the instant the author adds to the story. Wattpad has a huge selection of genres. This makes things much easier when it comes to browsing. There’s also a list of recommended stories and authors, and a list of new stories, popular stories and some the user might like. Even better is that all the stories are free and can be read whenever and wherever, offline or online. Users can have their own library and write or read on the go. This entry was posted in Columns, Home and tagged apps, social networking, stories, Tyree Cooper, Tyree's Telling, Wattpad, websites, writing on May 30, 2014 by abeeahs. The salutatorian for AHS was announced on May 15 during Awards Night. This year the crown was placed on Beth Clifton, second in the class with a GPA of 102.18. She talks about her goals and how she prepared for the title. Question: How did you feel when your name was called at Awards Night? Answer: Mostly excited but also a little nervous about having to give a speech! I also felt accomplished, like four years of hard work had paid off. Q: What kind of sacrifices have you made to achieve this goal? A: I’ve had to sacrifice a lot of free time. I know there have been times where my friends would be going out and I couldn’t because I had work to finish. I’ve also sacrificed a lot of sleep. Many nights I’d be up working even to 2 or 3 in the morning. Q: How do you handle the stress of schoolwork? A: My way of handling stress is by avoiding it. I try to get my work done on time so I don’t have to worry about turning in assignments late or not having enough time to finish. Any other stress I release through sports. For four years sports has been my release from academics, allowing me to get my mind away from school, even if just for a little while. Q: What is your routine to balance all your extra-curricular activities? A: I prioritize assignments, doing the hardest, most important or most urgent things first. Q: What are your extra-curricular activities? Q: Was this a goal you had in mind when you began high school? A: I honestly never thought about this until the end of sophomore year when my guidance counselor told me I was number two. Since then it’s always kind of been in the back of my mind to keep that rank, but it wasn’t a conscious goal. Q: Do you feel that there is a certain way students can go to achieve this goal? A: I think because everyone is different, there’s no one strict way to become salutatorian. But if someone were asking me for advice, I’d tell them that hard work is what got me here, but I would also like to stress that while it’s an honor to be salutatorian, you shouldn’t work hard in school just for the rank, you should work hard because you’re passionate about learning. I think that is also a big reason I achieved this — because I wasn’t learning just to learn or just for the grade, I was learning because I wanted to. Q: How did your family help you achieve this title? A: My family has been so helpful that I cannot fit every way they’ve helped, but most impactful to me has been the little things they’ve done: my parents and brother setting an example of achievement, my mom and dad making me little snacks while I’m working or staying up late to help me with assignments, my brother giving me advice (especially since he recently took many of the classes that I took) or making me a root beer float at midnight when I’m still doing homework. Their support has been constant and unwavering for the past four years and I cannot speak enough about what they’ve done for me. Q: Do you see yourself as a role model? A: You know I never really saw myself as a role model until this year when I started to help out with the sixth grade girls’ basketball team. And just by virtue of being older than them, these girls looked up to me — literally too (sorry I had to make that cheesy joke). And I don’t know that I necessarily saw myself as a role model, but I knew I had to do my best to be a good one because I was setting an example for those girls. A: This is cheesy, but my mom, when she was in high school was good at science and math so her guidance counselor basically told her she should become a nurse and that she wouldn’t be able to accomplish anything else. Instead she went to UC Berkeley, then Yale for grad school, and now she’s a published scientist. She’s shown me that I can succeed like she did no matter what anyone tells you. Q: Do you plan to be the top in your college? A: Of course I’d love to do well in college, but I also look forward to it as an amazing experience where I can learn from the best of the best. There’s this quote that I have hanging on the wall in my room: “If you’re the smartest person in the room, you’re in the wrong room.” Not only do I think it’d be hard to find such a room, I never want to because I think the best way to learn is from your peers. Q: Was there a point where you felt that you wouldn’t be able to make the goal? A: There were definitely moments when I thought I wouldn’t become salutatorian, but that didn’t really faze me because it was never really a goal, just a byproduct of my hard work, so if I did get it that’d be cool, but if I didn’t it wouldn’t change all that I had done over the four years. A: In ten years, hopefully I’ll be an engineer, have done some world travel, and maybe be starting a family. A: I’ll be studying engineering at Brown, and I hope to focus on aeronautical engineering. So ideally, I’ll work as an engineer designing planes, possibly for the military or even commercially. This entry was posted in Home, In & Around AHS and tagged 2013-14, Attleboro High School, Attleboro Youth Commission, Basketball, Beth Clifton, Brown University, Class of 2014, engineering, Giovanni Carcamo, GPA, Project Unite, Q&A, salutatorian, Soccer, spring track on May 29, 2014 by cammerritt. The shoe fits according to the tapes released about Los Angeles Clippers NBA owner Donald Sterling. Racism is no laughing matter and there are those who would say that Sterling clearly crossed that line with his racist comments to his girlfriend. Socially, Sterling was wrong to state the things he did. Politically and by law, he has the right to say such remarks because they are indeed his opinion. As an African-American, I take offense to Sterling’s comments. No one ever believes that they are racist, but as humans we unconsciously may have a particular bias toward a specific group, person, culture, or even race. Racism is a continuing problem in our world, and Sterling’s remarks are not the first example of that. All Americans, including Sterling, have the freedom of speech, but it is up to society to decide on ways of regulating what others say. Members of society should be careful of their actions and speech. Even though personal opinions, beliefs, and views may differ from others, it is not right to insult or offend anyone. This entry was posted in Home, Opinion and tagged 2013-14, Charles Barkley, Donald Sterling, freedom of speech, Los Angeles Clippers, Magic Johnson, NBA, racism, Samantha Tingue on May 29, 2014 by cammerritt. On May 22, United States Men’s National Soccer Team (USMNT) coach Jürgen Klinsmann announced his final 23-man roster for this June’s FIFA World Cup in Brazil. Among the players chosen by the U.S. boss was Attleboro native Geoff Cameron, who plays as a defender for the English Premier League’s Stoke City Football Club. “As an Attleboro soccer player, I feel a lot of pride that someone is representing our country at the highest international [soccer] level and that’s something to be proud of, especially knowing I’ve played in same programs and clubs [AHS and Bayside FC] as he did,” said senior Eoin Grimes, who played as a defender for the Boys’ Varsity Team. Cameron was born and raised in Attleboro, going through the ranks of youth soccer and playing for Rhode Island based club Bayside FC. 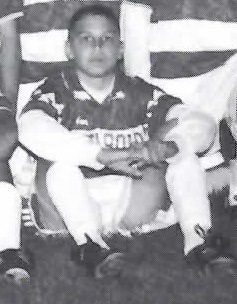 He attended AHS from 2000-2002 and played midfield for the varsity soccer team, scoring seven goals and having 13 assists as a freshman, and nine goals and 17 assists as a sophomore. He transferred to Providence Country Day for his junior and senior years. He played college soccer for the University of West Virginia and the University of Rhode Island before being drafted by the Houston Dynamo in the third round (42nd overall) of the 2008 MLS SuperDraft. With the Dynamo, Cameron began to make a name for himself in both midfield and on defense, playing an important role in his team’s two MLS Eastern Conference championships in 2011 and 2012. He scored 11 goals in his 116 appearances for La Naranja before signing with English club Stoke City in the summer of 2012. Since joining the Potters, Cameron has been a regular starter at the center back position. This season, Stoke finished in ninth place on the 20 club Premier League table, with Cameron playing all 37 matches and scoring a goal in a 4-1 win over Aston Villa this March. 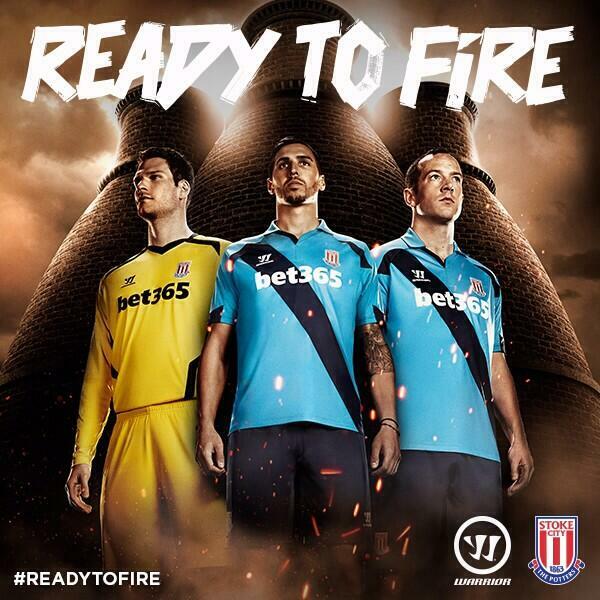 As one of the best defenders on the team, he’s become popular among fans, participating in Stoke-area charities and is featured prominently in the ad campaign for the club’s 2014/15 kit (uniform). He first began training with the national team in 2009, but injuries prevented him from having a chance to join the team at the 2010 World Cup in South Africa. Since then, he has worked his way into the Yanks starting XI as a regular, particularly under Klinsmann’s leadership, the former West German/German star who was named head coach of his adopted country’s team in 2011. The 28-year old Cameron and the USMNT are currently holding a training camp in Calif. to prepare for the World Cup. They will play three friendlies on May 27 against Azerbaijan, which they won 2-0, on June 1 against Turkey, and on June 7 against Nigeria, before heading off to Brazil. There, the Americans will compete in Group G, nicknamed the “Group of Death” for its level of difficulty, where they’ll have to face off against European powerhouses Germany and Portugal as well as perennial African leaders Ghana. “It’s always great when someone from the area can elevate their game to the highest level. There’s talent all over the country and this area is no different,” said Ryan Lanigan, editor-in-chief of Hockomock Sports, who recognized Cameron for taking a “relatively normal” path to soccer greatness, continuing his success from the MLS in England, and earned his spot on the national team. “I think that it shows that if you’re good enough it doesn’t matter where in the country you’re from, you’ll find success,” added Lanigan. “A lot of [soccer] players in the area look up to him and a lot of players have met him and are close friends with Geoff, so he’s making a lot of people proud,” said Grimes, adding it brings positive attention to the programs he was involved with. The World Cup begins on June 12, but the U.S. will start the tournament June 16 when they take on Ghana, who eliminated the Americans in the 2010 Round of 16 with a 2-1 win. This entry was posted in Home, Sports and tagged 2013-14, Attleboro High School, Bayside FC, Brazil, Cameron Merritt, Geoff Cameron, Houston Dynamo, MLS, Premier League, Soccer, Stoke City FC, University of Rhode Island, USA, USMNT, World Cup, World Cup 2014 on May 28, 2014 by abeeahs.